White t-shirt with text: Bof'em with Latex. Alexandra Park AIDS Prevention Project 360-6131. 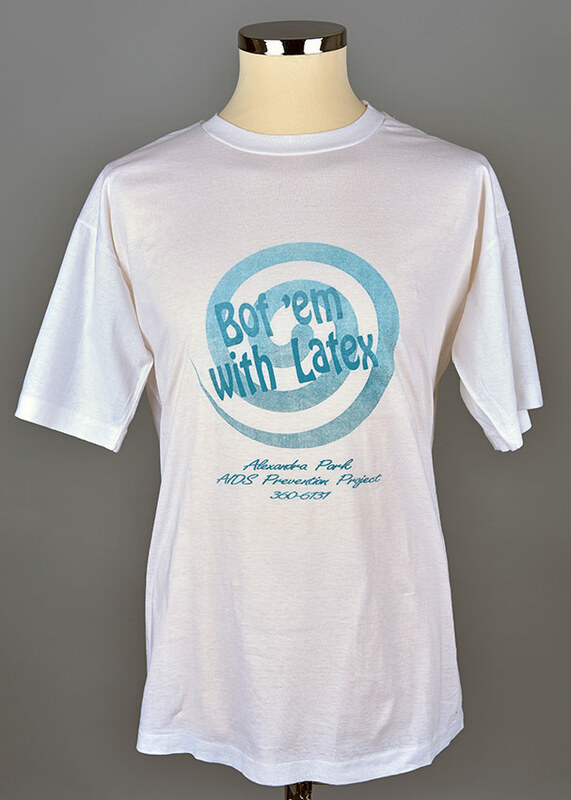 “Bof'em with Latex,” Wearing Gay History, accessed April 19, 2019, http://wearinggayhistory.com/items/show/4646.